From dumpling cooking classes, which offer a window into Chinese culture for some and a chance to pass on their cultural heritage for others; to expressive arts therapy for children with autism and their families; to events designed to engage Bostonians in the area’s evolving Asian cultures, including festivals, concerts, classes and artwork showcased in the new Pao Arts Center. “For BCNC, creating connections is one of our main outcomes,” said Yoyo Yau, Director of Programs, referring to their recent theory of change, which puts “connection” at the core of what BCNC delivers. Creating interactive activities for the community was already at their core, making them a natural fit for our cohort of ten Massachusetts-based organizations that signed on to experiment with Creating Connection’s research and recommendations in 2016. As it happens, the timing was also quite fortuitous for them. 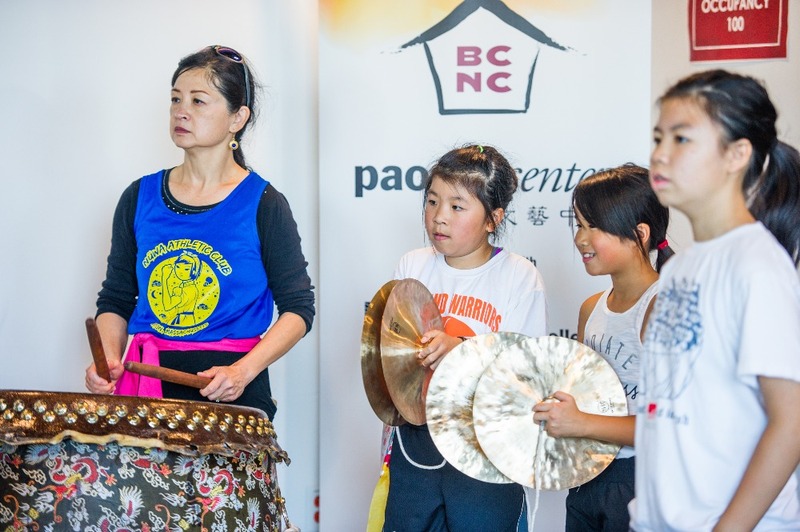 “I just started, and like a week later, I was at this Creating Connection meeting,” said Cynthia Woo, founding director of BCNC’s Pao Arts Center. The arts center opened contemporaneous with their joining Creating Connection. This enabled BCNC to leverage hands-on support from Creating Connection to help them establish clear plans for audience engagement, messaging that resonates with people’s values related to arts and culture, as well as programs designed to deepen relationships between everyone connected to Boston’s Chinatown community. For organizations like BCNC that embrace creative expression as a component of individual and family wellbeing, Creating Connection offers both research and tools, and peer networks that help validate their vision and direction. In fact, this model of working with a group of other arts organizations reinforces to the BCNC team that they aren’t going alone—rather, they’re part of a much broader movement and network that understands the power of creative expression in fostering a sense of place and serving the community that lives there. “The greatest impact is around the logic model and evaluation, and how those inform our programs to create connections between people and neighborhoods,” Cynthia offered. And yet, they note that this work is, in some ways, is only just beginning. “If you ask me two years from now, I will have more stories to tell … we are still developing this work,” Yoyo offered with a smile. Photo credits from top to bottom: Banner image by Tina Xu. Photo slide show images by Steve Sulewski, BCNC, & Ethiopiah Al-Madi. New Tools and Resources images courtesy of BCNC. Newer PostThank you, Fall River and New Bedford!